Ardglass is a port, village, townland and parish on the County Down coast, about 10 kilometres southeast of Downpatrick. 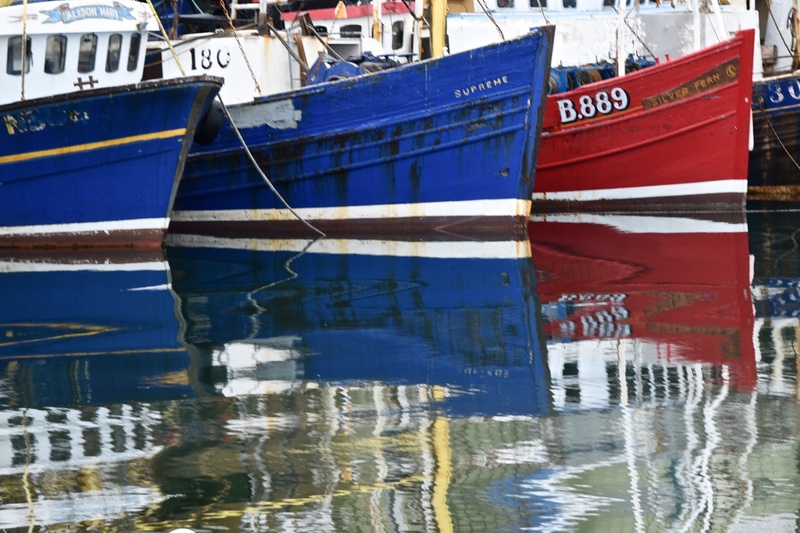 I visited Ardglass on a quiet morning, when everything inside the harbour was still and calm. Another boat was coming in to join them. 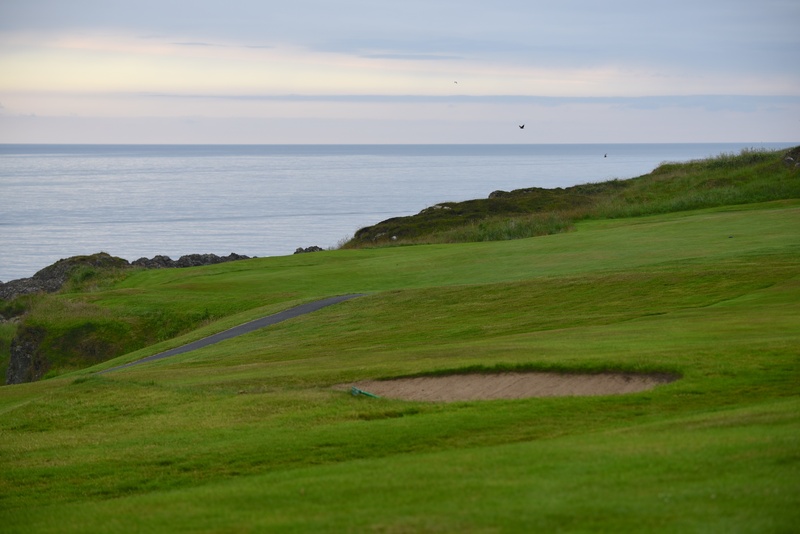 The neat grass in the foreground is part of Ardglass Golf Club. In my opening sentence I described Ardglass as a village. 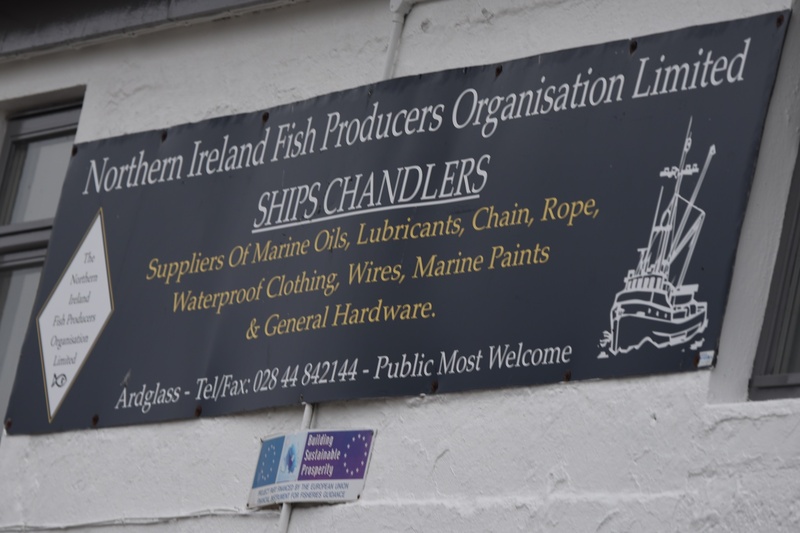 Its shops supply essential items for the fishing industry…. I wonder how many of my overseas readers recognise the decorations on Mulhall’s shop. 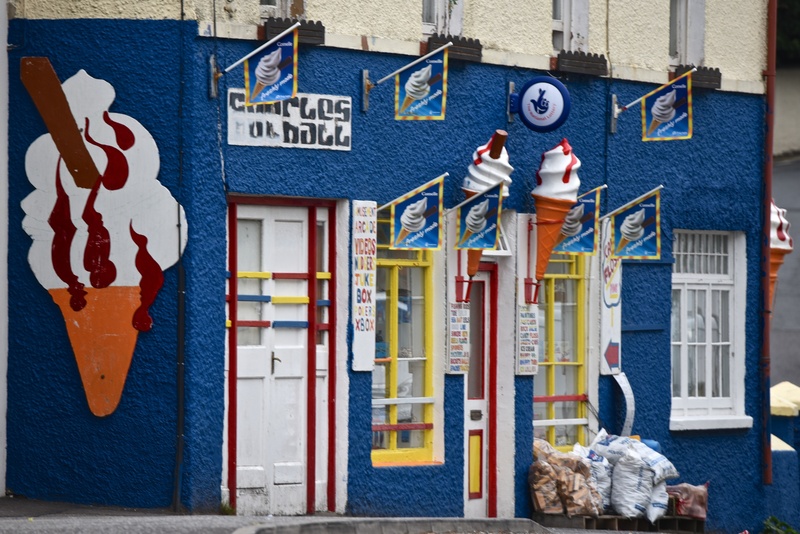 The favourite summer snack in the UK and Ireland is the “99”, a cone of soft serve ice cream topped with a stick of Cadbury’s “Flake” chocolate. Delicious. So that’s the port and the village; how about the townland? Well, here is a sign with the townland name in red. Finally, the parish. 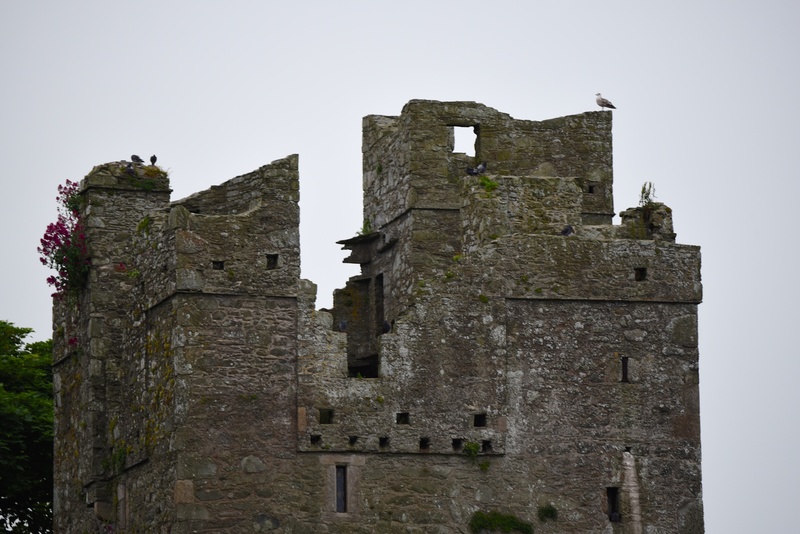 I only have this image of Jordan’s Castle, which at least shows that for centuries people have believed Ardglass to be worth defending. The parish contains seven townlands: Ardtole, Coney Island, Jordan’s Crew, Kildare Crew, Ringfad, Ross and Tullycarnan. 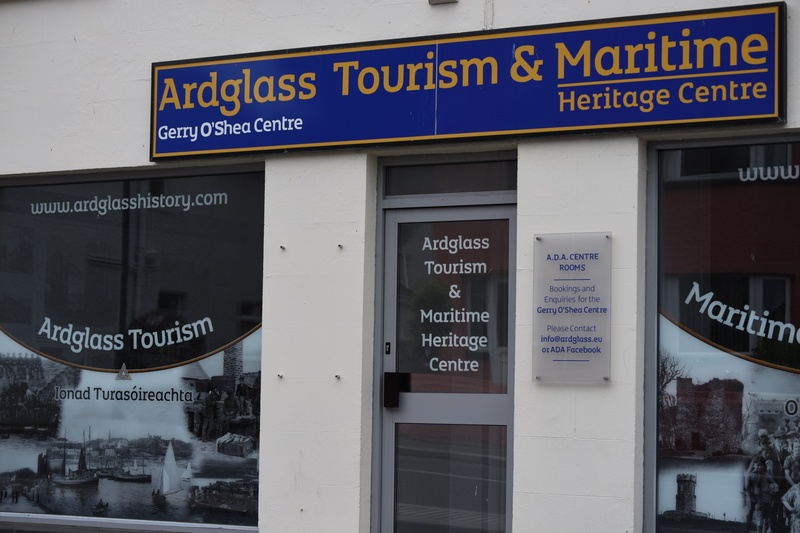 According to the PLACENAMESNI website, the name Ardglass comes from the Irish Ard Ghlais meaning “green height”. That gives me an excuse to finish with another image of the neat green grass on the golf course, even though the name Ard Ghlais actually refers to the hill known as “The Ward” overlooking the harbour. Which county is Ardglass in? Down. Which parish is Ardglass in? 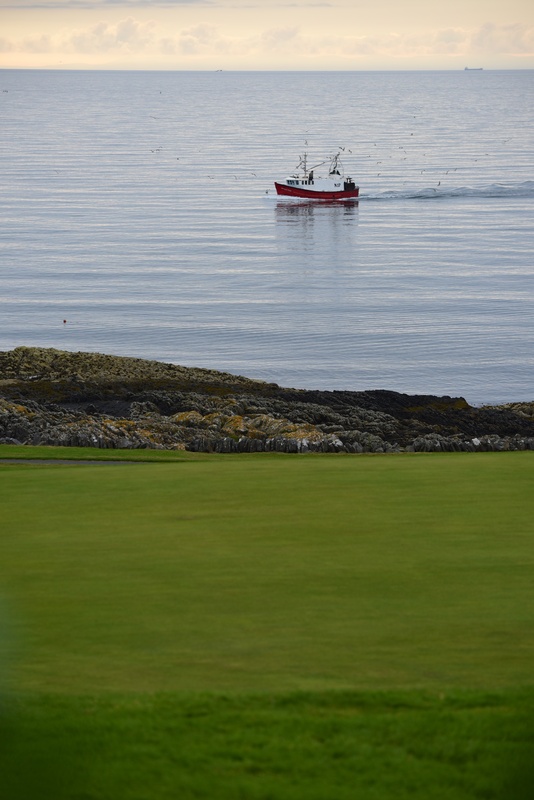 Ardglass. Which townlands border Ardglass? To the north, Jordan’s Crew and Ardtole. To the southeast, on the coast, Ringfad. Inland, to the west, Kildare’s Crew and Tullycarnan. 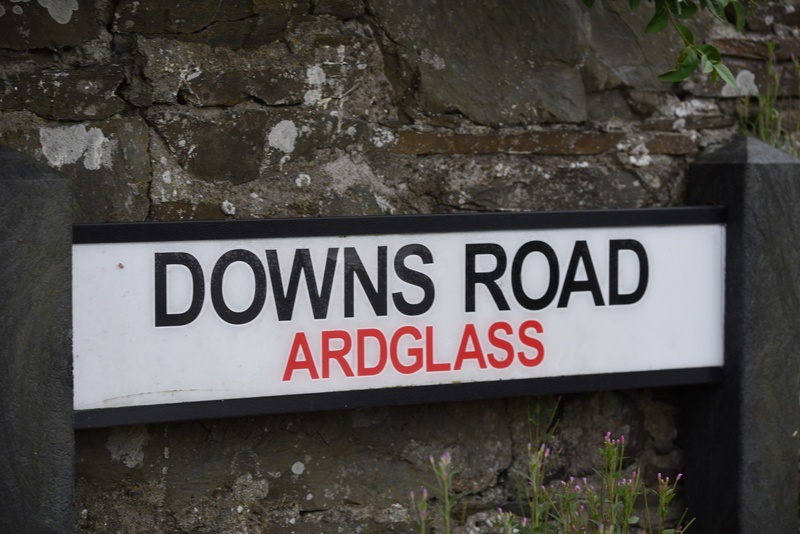 Click here to see a map of Ardglass on TOWNLANDS.IE.